Angry Orchard announced the national release of its first-ever hopped hard cider, Angry Orchard Hop’n Mad Apple, last month. The cider makers drew inspiration for this new cider from a traditional craft beer ingredient – hops – to develop a cider that combines subtle floral and tropical fruit notes from Strisselspalt and Galaxy hops with bright, fresh apple flavor from American apples. First launched in 2012, Angry Orchard is the number one selling hard cider in the US (according to IRI data as of January 18, 2015), where hard cider has seen explosive growth and is showing up on more menus than ever as a refreshing alternative to craft beer and wine. 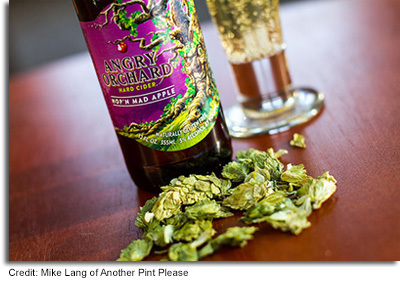 The cider makers at Angry Orchard experimented with a variety of hops when crafting the recipe for Hop’n Mad Apple and ultimately chose a blend of Strisselspalt and Galaxy hops for their unique flavor profiles. The hops complement the cider’s bright apple aroma, allowing the fruit to shine through. Strisselspalt hops, from France, are subdued and contribute subtle citrus, herbal and floral notes to the cider. Galaxy hops are found in Australia and contribute bright, juicy tropical notes like pineapple and mango. These hops are added to the cider post-fermentation, a process known in the brewing world as “dry hopping”, to give the cider a fresh hop aroma and a pleasant dry finish without any bitterness. Hop’n Mad Apple, along with Green Apple and Angry Orchard’s fall/winter seasonal, Cinnful Apple, are made with American culinary apples including Gala, Fuji, Red Delicious, Golden Delicious and Granny Smith apples. The cider makers at Angry Orchard are constantly working to perfect and innovate the craft of cider making, and through their experimentation have found that certain regions within the United States, such as the Pacific Northwest and the Northeast, share characteristics – rich soil and ample sunshine – with apple-growing regions in Europe that are known to produce apples conducive to cider making. For the new Hop’n Mad Apple cider style, the slightly less tannic juice of culinary apples from Washington State was found to best accompany the Strisselspalt and Galaxy hops. Angry Orchard’s chef partner, former Bravo Top Chef fan favorite and Gunshow restaurant owner Kevin Gillespie notes that the juicy apple flavor, subtle hoppiness and dry finish of Hop’n Mad Apple make it a universal pairing for a variety of foods. Angry Orchard Hop’n Mad Apple (5.0% ABV) is now available nationwide in 6-packs, for a suggested retail price of $7.99-$9.99 (price varies per market). The hopped cider will also be available on draft in select markets. Like all Angry Orchard hard ciders, Hop’n Mad Apple is gluten-free. For additional information, please visit AngryOrchard.com. With our significant craft cider boom in the United States, it is very easy to take for granted all of the options we have available to us (with only more to come!). It is only when you get a glimpse into the cider market in other countries that you can really see what a selection we have. Take the Netherlands for example. Due to a lack of demand and available options, the cider market in the Netherlands is extremely slim. This may not be due to a genuine lack of interest in cider but more a lack of available options to open up a local consumer’s mind to truly good cider. Besides having some of the bigger names like Magners, and Heineken’s Jillz, there are really not a lot of craft cider options. This is something that Netherland’s native, Beer Cider, is trying to change. Hailing from the rural village of Beerze in the Netherlands, Beer Cider is looking to promote the expansion of quality cider within the Netherlands. Contrary to its name, Beer Cider actually does not contain any beer in it, but it is made with all natural apple juice, not from concentrate. 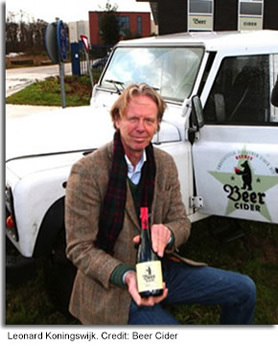 Owner, Leonard Koningswijk, says this is one of the main differences between much of the mass distributed cider available in the Netherlands and his premium artisanal cider. Koningswijk explained the brand’s name, “Beer Cider. Beer is the Dutch word for bear as well as a play on the cider’s city of origin, Beerze. So beer cider in English would actually be Bear Cider. The bear depicted on the label is the same bear as present in the shield of Beerze Estate, where Beer Cider originates.” Also, bears have contributed to the distribution of apples from Kazakhstan to Europe, where the fruit originates, so the name Beer Cider is also in honor to the bear. Despite Beer Cider being only three years old, it is already the Netherland’s 2nd largest cider producer; Heineken being the first. Currently, Beer Cider produces one main cider although they have seasonal options such as an oak rum cask-aged variety and a bottle fermented variety. Beer Cider’s main cider is a dry cider at 5.3% ABV. It has a clear, pale straw appearance, is slightly carbonated, and has notes of apple, pineapple, and grapefruit. At the moment, Beer Cider is only distributed in the Netherlands, but this just gives everyone an excuse to visit a beautiful country, try great cider, and be a part of the cider revolution in the Netherlands. For additional information on Beer Cider, please visit BeerCider.nl. 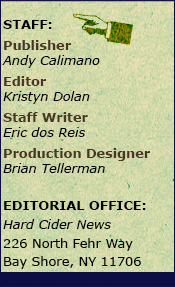 Contributed By: Eric dos Reis, Staff Writer of Hard Cider News. Hard ciders have seen explosive growth within the United States in recent years, but often overlooked is mead and its cousin, a cider variety, cyser. 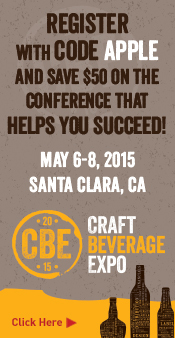 One company is looking to change that by introducing a seemingly never ending selection of meads and cider varieties. 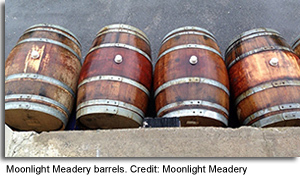 Since 2010, Moonlight Meadery has been handcrafting exceptional award-winning mead and cyser beverages. 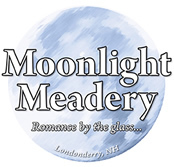 In the New Hampshire town of Londonderry, Moonlight produces every variation of mead, cyser, and cider imaginable, with new beverages being added all the time. Moonlight features a tasting room that allows customers to come in and sample their list of meads and cysers. Mead is created by fermenting honey and water; they can vary from 8% ABV to 20% ABV. Cysers are made by blending a mixture of mead and cider; they can also reach significantly high alcohol content. In 2014, Moonlight created it’s very own hard cider called How Do You Like Them Apples. With the many apple farms within Londonderry, it is obvious that cider would be Moonlight’s next step to explore. Moonlight’s cider is aged in oak barrels that had previously held a batch of their Last Apple cyser. As of right now How Do You Like Them Apples is only available in draft. The beverages are created by master mead maker Michael Fairbrother who started creating mead in 1995 right after he tried his first cyser. Fairbrother began home brewing and after 15 years, decided to try his hand at making meads for retail. Since Moonlight’s inception, the company only continues to grow, rapidly expanding to their current 4,000 sq. ft. production facility with capacity to produce over 200,000 bottles per year. This year, Moonlight will increase cider production by 2000% from 2014 which only means you can likely find more available in your market! Moonlight is currently available in 30 states as well as Australia, and has won many awards for its exceptional and innovative beverages. Moonlight Meadery had the distinct honor of becoming the first winery in New Hampshire’s state history to be distributed to California and Australia. Blossom: A semi-sweet cyser made from Sunnycrest Farms apples. As you pour it into your glass, you will notice it has a dark gold color which is slightly cloudy. You can instantly smell a very strong honey aroma which is obviously from the mead portion of the beverage. Upon tasting, you first get notes of sweet and tart apple which subsides to notes of orange blossom honey. This cyser is very smooth which is surprising due to the fact that it has a 16.8% ABV. It is light, refreshing and one can only imagine that it can accompany any dish that has rich flavor. Blossom has most recently won a bronze at the 2013 Mazer Cup International competition – considered the most prestigious and competitive competition for meads! Last Apple: This limited-edition (only 300 cases were made) cyser also has great clarity with its dark gold color. You can instantly pick up notes of oak and sweet honey in the nose. Upon tasting, the honey is your upfront taste while apple is in the back and aftertaste. Again, you can notice oak and vanilla characteristics like the Virtue from barrel-aging but this cyser was aged in Jim Bean bourbon barrels. There are also more chardonnay like notes with the apples and less bourbon taste overall. Last Apple with its 16% ABV is quite possible Hard Cider News’ favorite of the bunch tasted! How Do You like Them Apples: This straight cider (and the only one from Moonlight Meadery at this time) is clear and golden in color. There is a more noticeable alcohol scent in the nose perhaps due to the 13% ABV without added sugars from the mead as we tasted with the cysers. There are also notes of honey but the cider reminds us more of wine. After your first sip, there is a very bold taste of apple and oak with brown sugar. There is a heavy mouthfeel and somewhat warming sensation at the back of the mouth. Bourbon lovers will absolutely love this cider since it is aged in Last Apple barrels – or so Hard Cider News thinks! For additional information about Moonlight Meadery and where to find their products, visit them online at MoonlightMeadery.com. 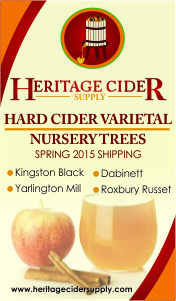 Contributed By: Eric dos Reis, Staff Writer of Hard Cider News. Original Sin Premium Hard Cider announced the limited-edition release of a single varietal cider made with freshly pressed Northern Spy apples. Original Sin Northern Spy Dry Cider is the third installment in Original Sin’s highly coveted heirloom series, which also includes the critically acclaimed Heirloom Series Newtown Pippin and Heirloom Series Cherry Tree hard ciders. Original Sin Northern Spy Dry Cider nationally launched last month in connection with CiderCON, and is available in kegs/on draft in select markets. One of today’s driest national cider brands, Original Sin pays tribute to the great pomological tradition in our country with the release of its Northern Spy Single Varietal. Gidon Coll, founder of Original Sin, is an apple aficionado who has been involved in growing a test orchard of cider, modern day and heirloom apples on his family’s old dairy farm in Upstate New York. He’s dedicated to help increase the diversification of apple varieties in the United States, including heirloom apples such as the Northern Spy. Coll’s orchard contains over 80 endangered, heirloom and contemporary apple varieties. In the mid-19th century, America was a veritable Garden of Eden of apples, with over 15,000 named varieties. As of the early 21st century, 11 apple varieties made up 90% of chain supermarket sales. With commercial apple growers focusing on a limited number of attractive, easy growing and often, inferior quality varieties, the availability of the Northern Spy has diminished. With the help of the booming American hard cider market though, craft cider companies are increasing demand for the production of heirloom and cider varieties while advocating for an enhanced and varied artisanal agricultural landscape. The Northern Spy is an iconic heirloom apple high in Vitamin C and greatly valued by apple connoisseurs. Apple expert Fred Lape once dubbed the Northern Spy “the best apple ever grown in the United States.” The Northern Spy originated around 1800 on the farm of Herman Chaplin in East Bloomfield, NY near Rochester (a bronze plaque commemorates the location of the original tree). The apple’s popularity was confined to the local region until about 1840, when it began to attract greater attention. In 1852, the American Pomological Society listed the Northern Spy as a variety of promise and worthy of general cultivation. By the early 1900’s, the Northern Spy was considered the third most popular apple grown in the United States. For up-to-date information on Original Sin, please visit OrigSin.com. For those that appreciate the bold, crisp flavor of biting into a Washington State grown apple, your search for the perfect canned apple cider ends with Rambling Route. 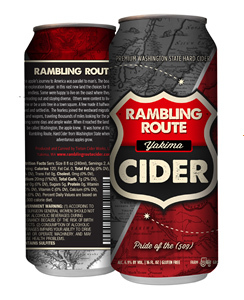 Rambling Route is part of the Tieton Cider Works family of craft hard cider products, utilizing only farm grown apples from Craig and Sharon Campbell’s Harmony Orchards located in the Yakima Valley, Washington. The journey begins April 1st with Rambling Route slated for release in 14 states throughout the country! Rambling Route fills a niche in the marketplace in that it truly offers a craft, farm-grown element that many competing products cannot. Remarkably void from the ingredients are additives and preservatives that many of the national leaders within the category use with regularity. Certainly, it is gluten-free, but the absence of additional chemical compounds offers consumers a truly unique way to enjoy authentic craft apple cider. Production aspects are managed just as carefully as the fruit is cared for, with pressing and bottling taking place at the family-owned and operated cidery in Yakima Valley. Rambling Route will come packaged in 16-ounce cans adjoined within a 4-pack necker. This packaging allows for sales of 4-pack units or single-can sales. The dry 6.9% ABV cider with 2.6% residual sugars will be affectionately priced from $8.99-$9.99 per 4-pack, competitive with “commercial” category leaders. This new cider from Tieton Cider Works comes with many new changes at the cider producer. 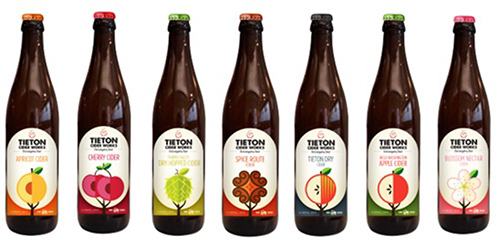 Most recently, Heidi Burmeister, Director of Marketing at Tieton Cider Works, unveiled a new package design. The new label design is now targeted toward developing a strong sense of terrior – or “Tieton” located in the heart of the Yakima Valley. 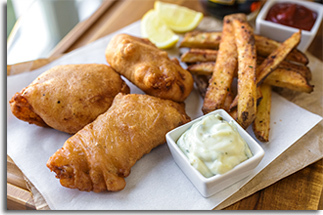 Tieton’s new look began shipping to distributor partners last month and became available to restaurants and retailers early March. The consistent visual theme on the new labels is of trees and fruit, emphasizing the Campbell’s commitment to orchard grown and locally-sourced ingredients used in creating their cider selections. From farm to bottle, Tieton Cider Works micro-manages the entire process ensuring only the highest standard of quality. The “Farm Grown” logo further punctuates Tieton Cider Works commitment to the land they love and the ciders that represent their devotion to a special apple producing place known as Tieton. For additional information on Rambling Route Cider, please visit RamblingRoute.com. You can see the new Tieton Cider Works branding and learn more about the company’s growth by visiting, TietonCiderWorks.com. Two exciting new additions may be hitting your shelves soon if you are in the tri-state area! 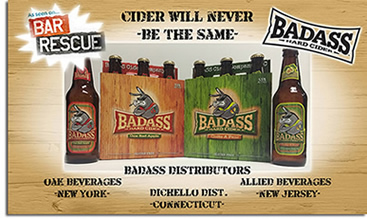 Badass Cider has recently signed with Boening Brothers, Allied Beverages, and Dichello Distributors who will be shipping their ciders across metro-New York, New Jersey and Connecticut. The managers of the cider company, Lance Johnson and Manny Busto Jr., started Badass Cider in 2013 as a draft-only cider. Due to increased success and demand in the metro-NY area, they started bottling their cider for distribution last year. The cider is produced at Brotherhood Winery in Washingtonville, NY. There are two varieties, an apple and a pear both with 5.5% ABV. Supporting their home state, Badass Ciders are made using only New York grown apples and pears. One Bad Apple: The cider pours as a clear, light straw color. The aroma is full of apple and an almost confectionary smell mixed in. After tasting, there is an upfront sweet and slightly acidic crisp apple taste with some dry astringency. The light bodied cider is very easy drinking and smooth. Quite A Pear: Also clear and light straw in color, this cider has an aroma that isn’t too sweet and pear is subtle. The taste is crisp, tart, and slightly pear. This dry cider has more noticeable pear as it is drank more and has slight honey notes. Both varieties of Badass Hard Cider should be available for purchase soon and are definitely worth checking out for their “cool” factor. For additional information on Badass Hard Cider, visit them at BadassCider.com. Contributed By: Eric dos Reis, Staff Writer of Hard Cider News.